One of the luxuries of Living in London is that on any given day, whether it be lunchtime or evening there is music to be heard at churches throughout the city. There are so many concerts from which to choose. If you’re looking for a couple of options in June consider the events on June 28 at Grosvenor Chapel and July 1st at St Bartholomew-the-Great. Both concerts feature the choral music of my very good friend, composer Alexander Levine. On June 28th, Voce Chamber Choir presents a summer concert at the Grosvenor Chapel in Mayfair, London. This hour-long concert will feature stunning summer music including works by Whitacre, Debussy, Purcell, Byrd, uplifting Spirituals and King’s Singers’ Folk Song arrangements, and the world-premiere of Levine’s “Thy Will Be Done (Our Father)” which has been specially commissioned by Voce. 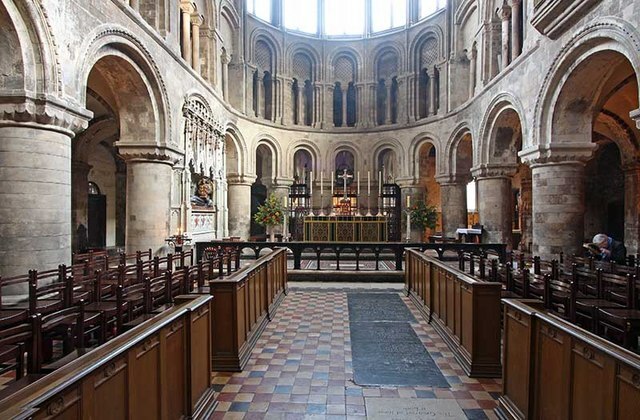 On July 1st, Voce will perform at St Bartholomew-the-Great, one of the oldest and arguably the most atmospheric of the City churches, and will demonstrate their “perfect blend of calm contentment and soaring spirit” – (The Independent). As twilight falls the concert will open with Byrd’s Sing Joyfully, and include motets by Monteverdi, Gabrieli and Bach. St Augustine Prayers. The programme ends with Tallis’ setting of Te Lucis Ante Terminum – ‘before the closing of the day’.